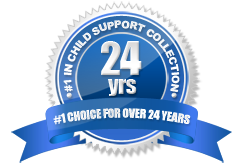 National Child Support specializes in helping custodial parents get the child support payments they are legally entitled to receive. We've helped thousands of parents collect millions of dollars. And, we can help you right now. We can get child support payments started, and keep them going. No matter where in the United States you or the absent parent live—National Child Support is here to help you. We offer excellent options to get the help you deserve! We specialize in getting child support payments started–and keeping them going. We only get paid when we collect the child support you and your family are entitled to. If we don't collect, you owe us nothing. Let us send you free information today! Most government child support offices do not calculate interest on the unpaid child support that is owed to custodial parents like you. However, under Federal and State Law you may be entitled to interest on the back support owed !